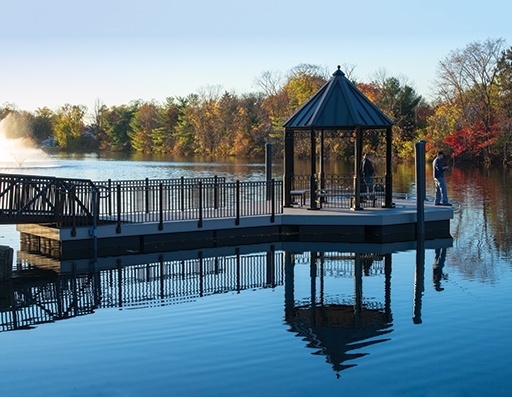 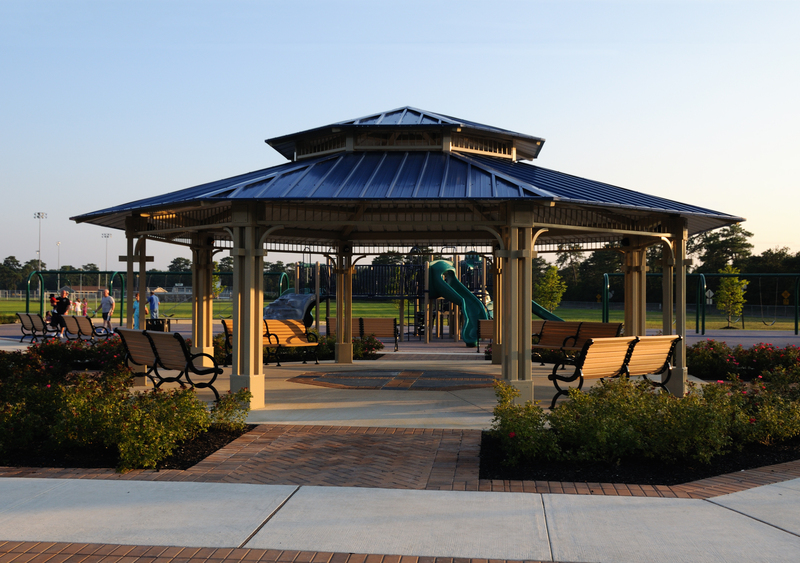 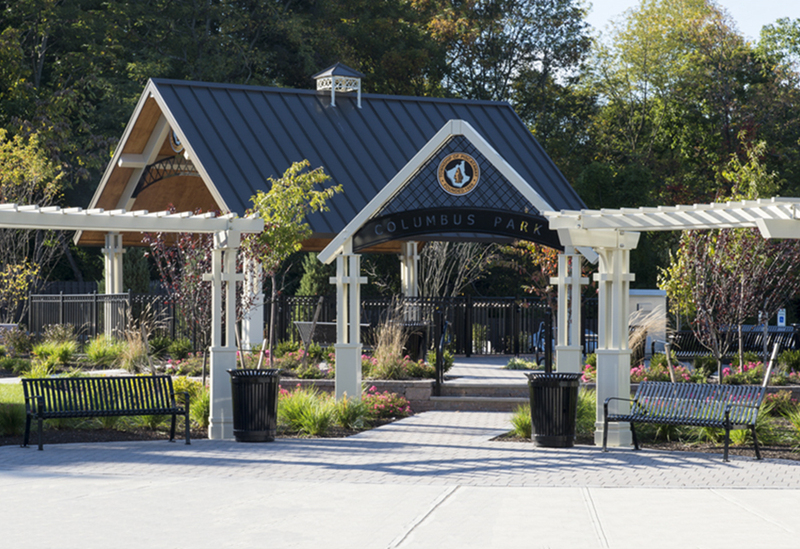 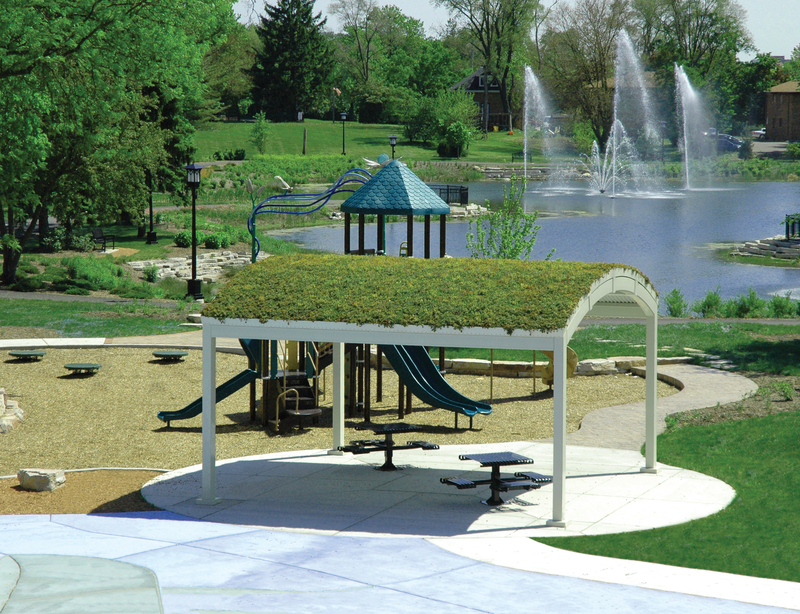 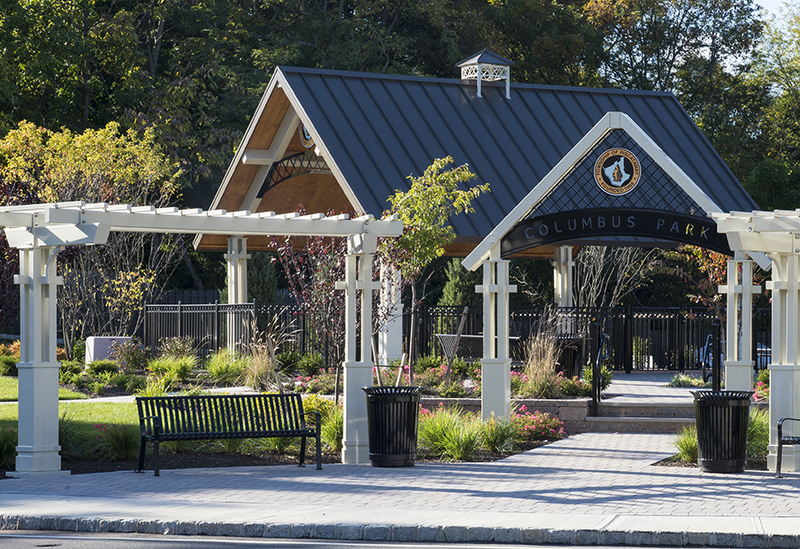 Columbus Park in Piscataway Township, New Jersey got a facelift by township landscape architect Henry Hinterstein. 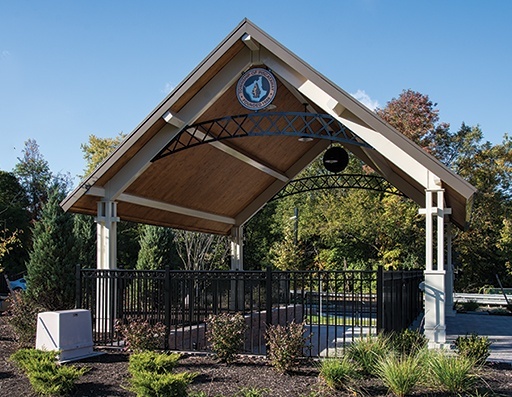 This wonderful combination of landscape and hardscape elements includes a 24’ x 28’ shelter which covers a portable restroom trailer during the summer months, two 6’ x 16’ trellis structures, an entry arch customized with the park name and the township seal, and two 12’ octagonal gazebos on the fishing docks. 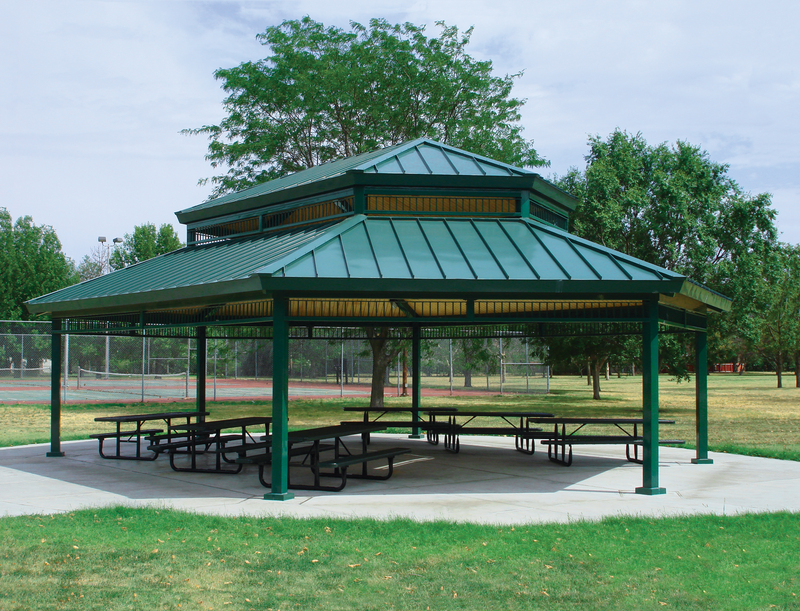 Hinterstein successfully mixed design features from the ICON catalog, including Craftsman style columns throughout, and on the shelter, cross-bracing from the IRONWORKS line in the gable ends. 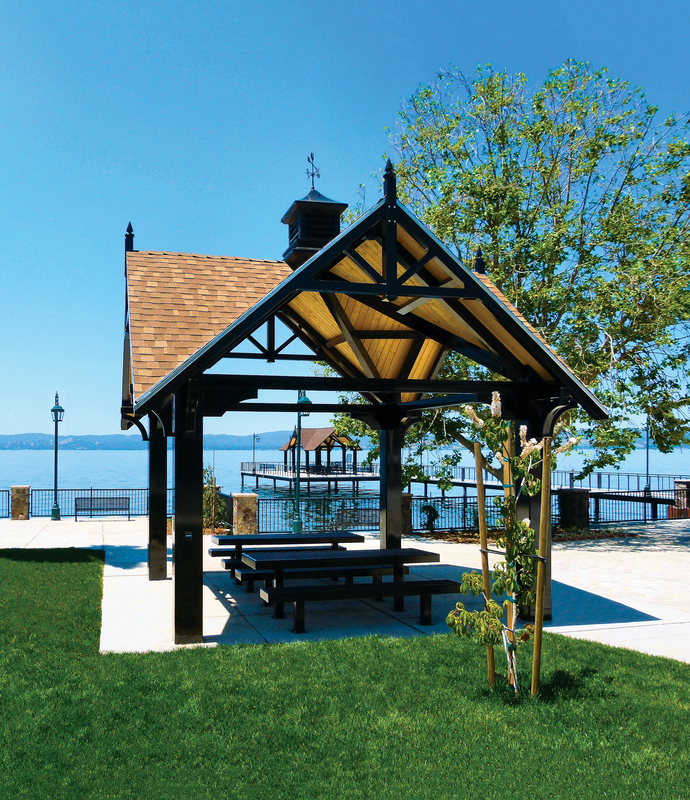 The large shelter, the arbors and the entry arch utilize Craftsman style columns. 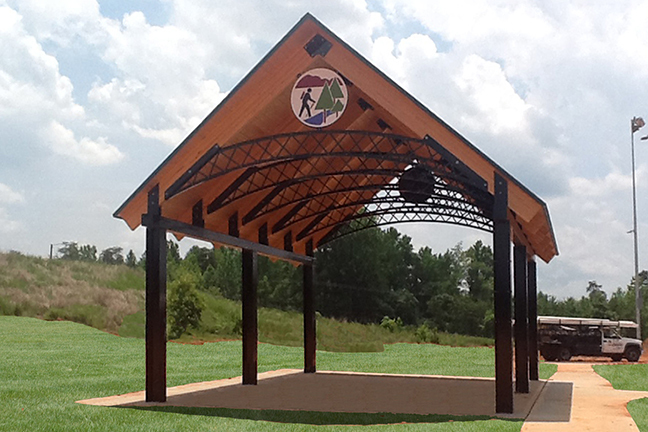 The shelter has IRONWORKS style cross-bracing in the gable ends supporting the township emblem. 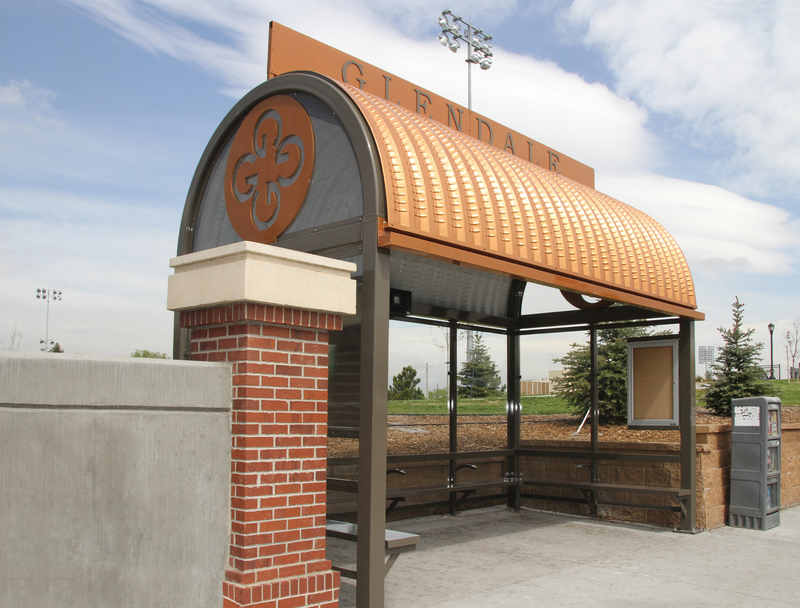 The entry arch also has an emblem mounted on steel lattice above the park name. 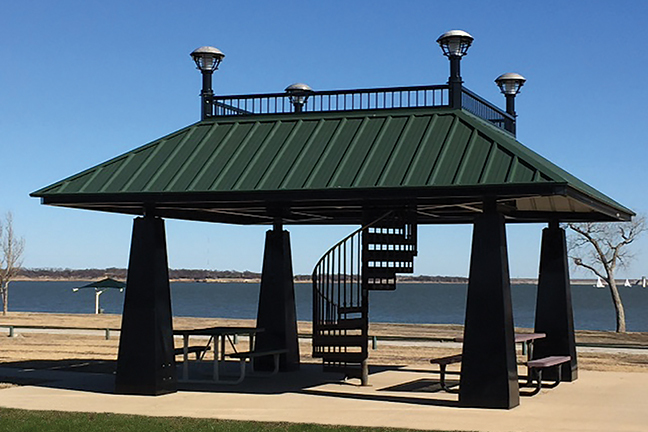 The fishing dock shelters have stepped columns and handrails. 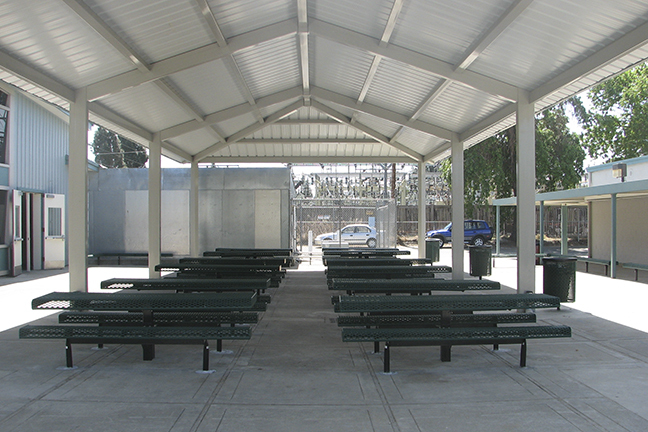 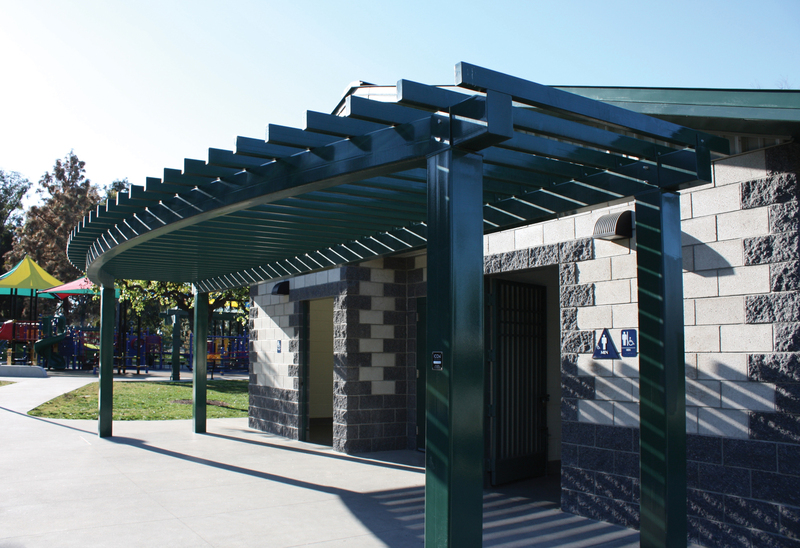 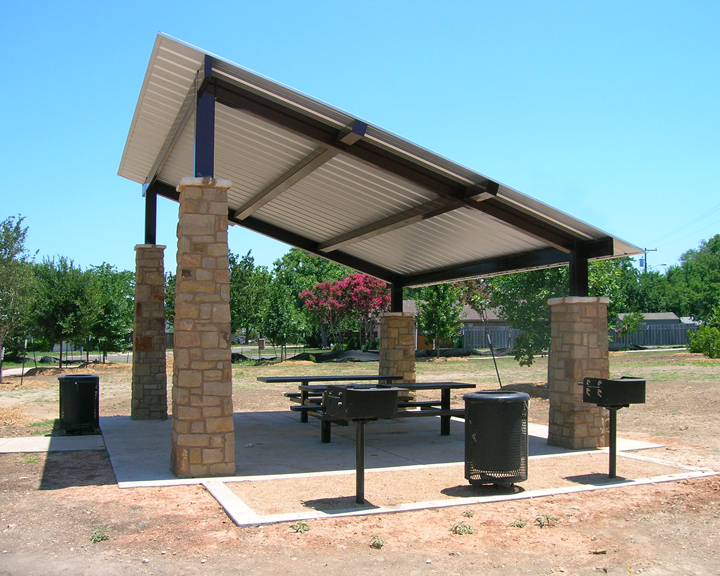 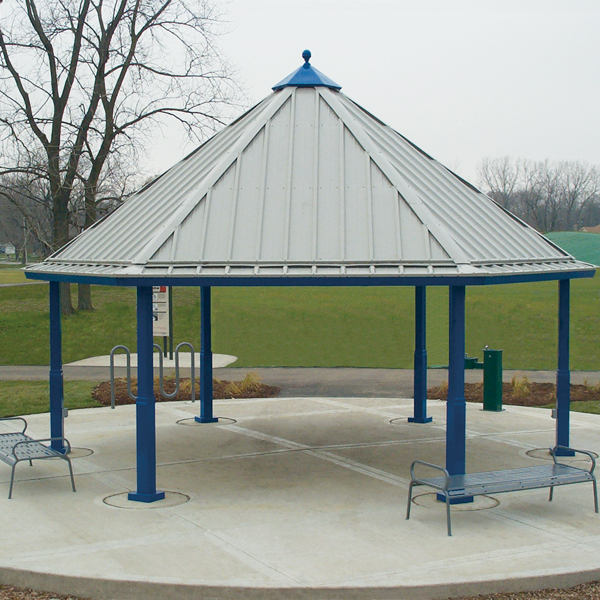 All the shelters have medium bronze standing seam roofing. 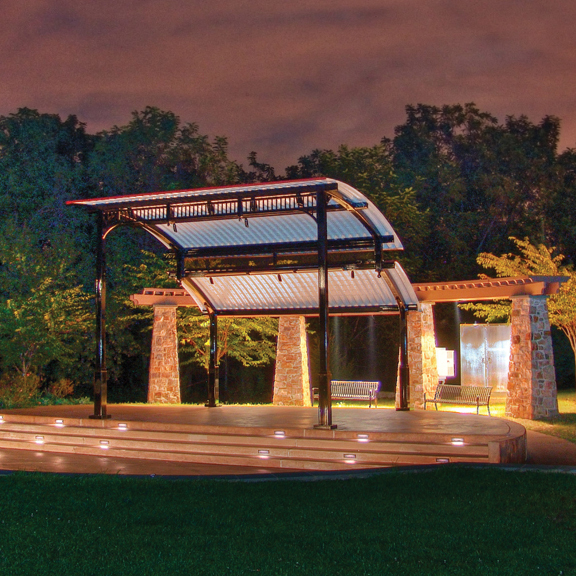 Over the last 13 years, I have worked with ICON on numerous projects for the Municipality. 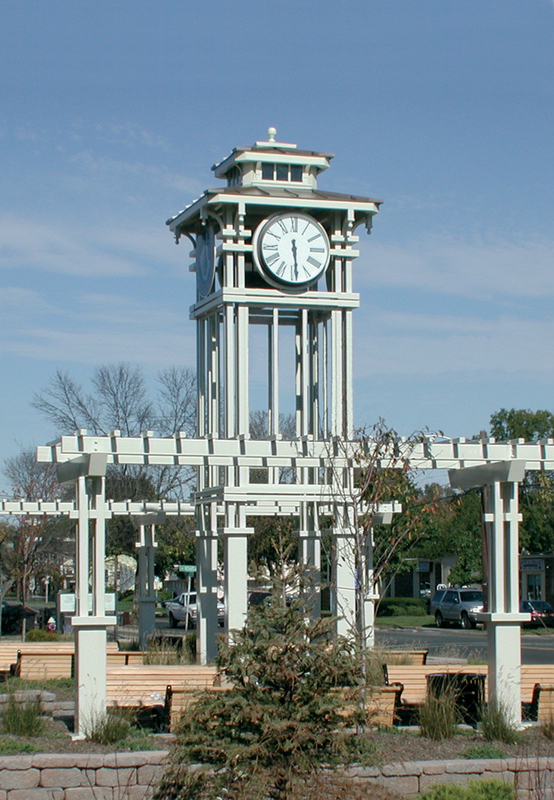 From concept to completion they have been a great asset and partner in creating some unique and creative solutions for our projects. 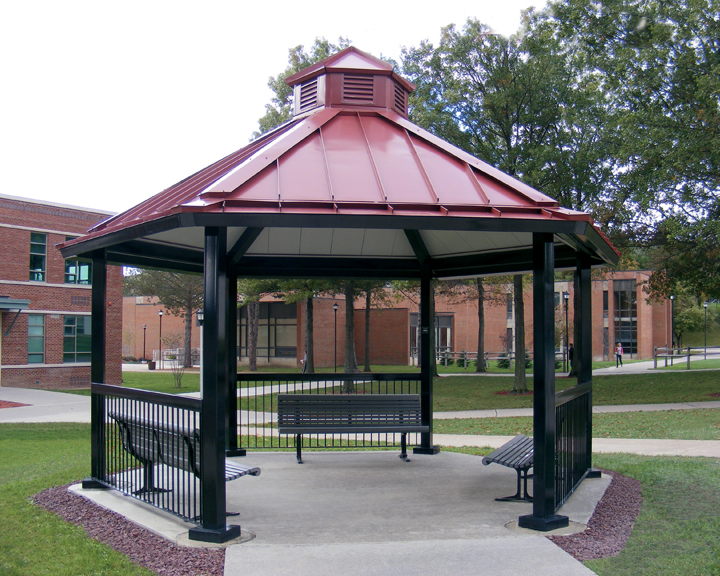 The quality of their work is always consistent.